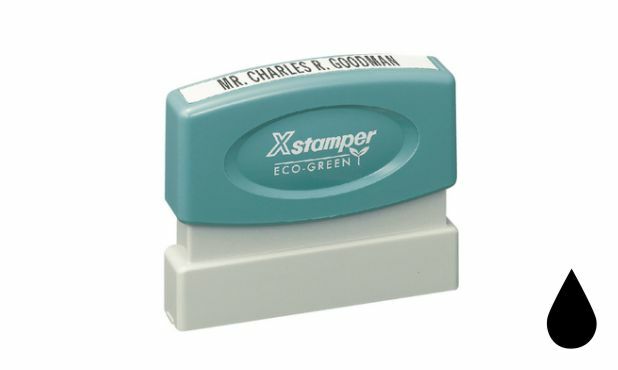 This stamp lasts up to 50,000 impressions before re-inking and produces a very crisp print. There is no need for a stamp pad! Price includes up to 3 lines of text. Limited lifetime guarantee. Quantity price breaks apply to identical stamp imprints only. Delivery in 3 weeks after order confirmation and/or artwork approval.